350 pages | 23 Color Illus. | 109 B/W Illus. 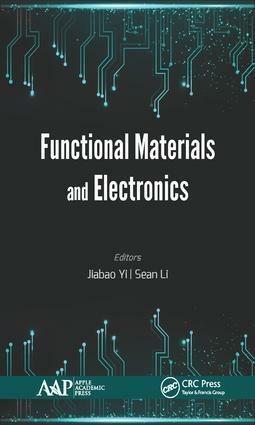 Jiabao Yi, PhD,is a Senior Lecturer in the School of Materials Science and Engineering, University of New South Wales (UNSW), Australia. Before he came to UNSW, he was a prestigious Lee Kuan Yew postdoctoral fellow at the National University of Singapore. He joined UNSW in 2011 after he was awarded a Queen Elizabeth II fellowship. He obtained his PhD degree in 2008 from the National University of Singapore. His research areas include oxide-based diluted magnetic semiconductors, two-dimensional materials, and soft and hard magnetic materials. He has published 120 papers with citations over 4,500 times. Sean Li, PhD,is currently leading a research group that consists of more than 40 researchers who work in the areas of advanced multifunctional materials at the University of New South Wales, Kensington, Australia. Their research activities have been funded by approximately $42 million from the Australian Research Council, the Australian Solar Institute, the Australian Nuclear Science and Technology Organization (ANSTO), the Commonwealth Science Industrial Research Organization (CSIRO), and various industries. Professor Li's laboratory is equipped with a number of unique world-class research facilities, which are specially designed and fully geared toward the development of advanced multifunctional and energy materials with a total value of AUD$12 million. It is one of the key research infrastructures at UNSW. Professor Li has published three textbooks, one edited book, 12 book chapters, and more than 325 scientific articles in international peer-reviewed journals.